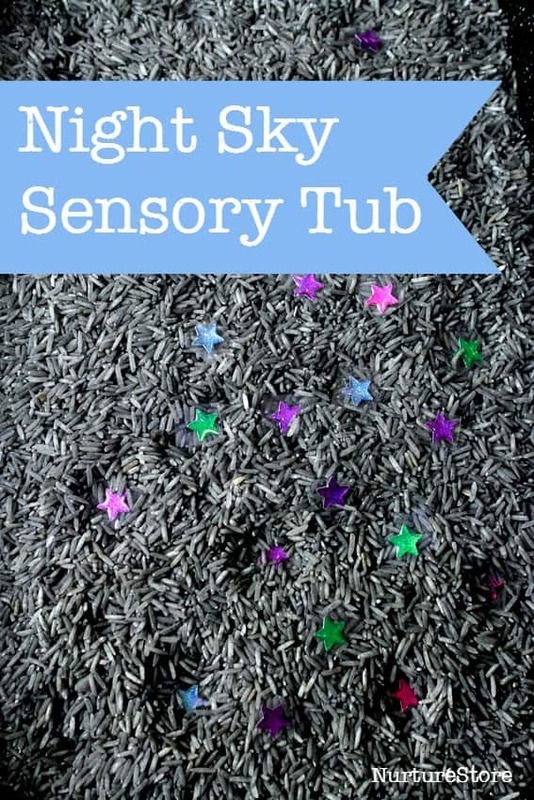 This night sky sensory tub is great for sensory play and comes with ideas for hands-on math games. 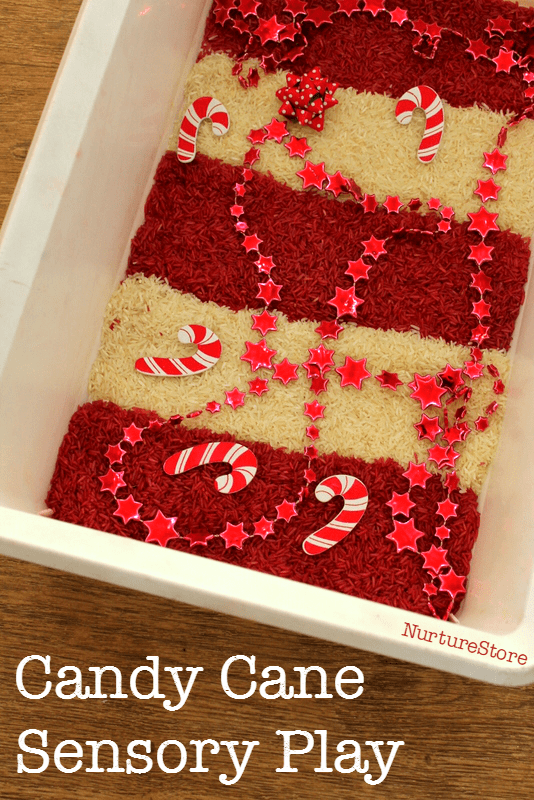 Here’s an easy way to make lavender dyed rice for a relaxing lavender sensory tub. 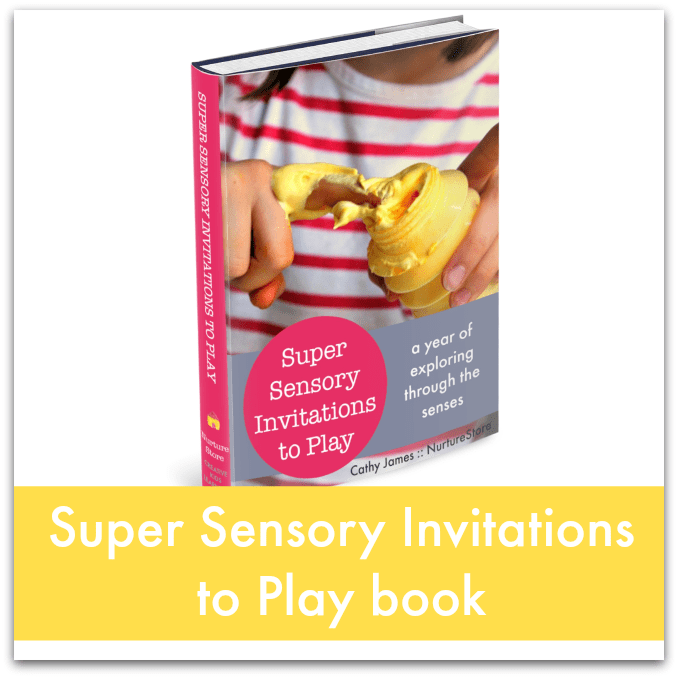 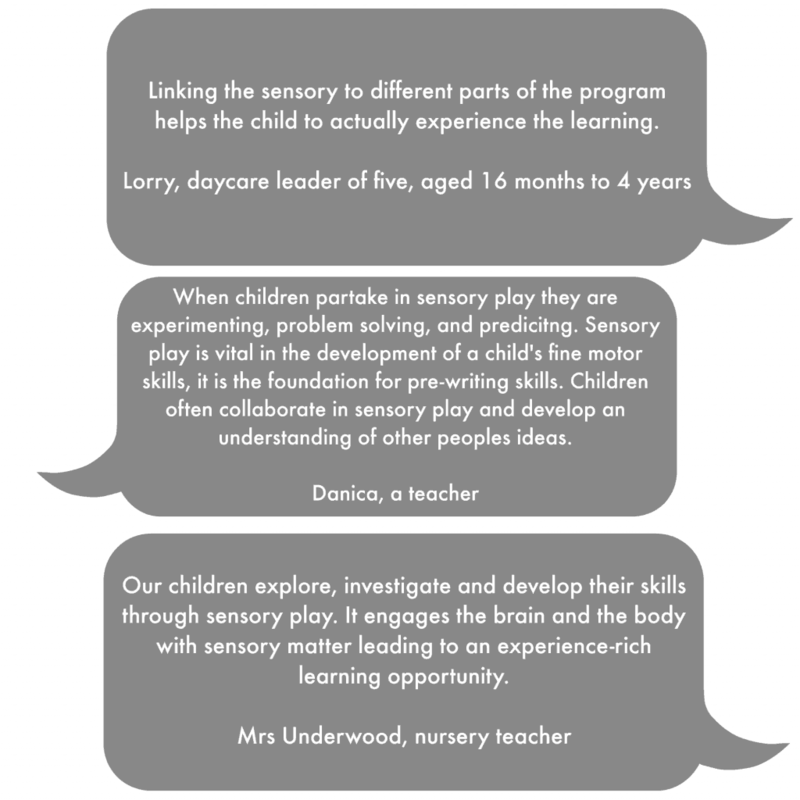 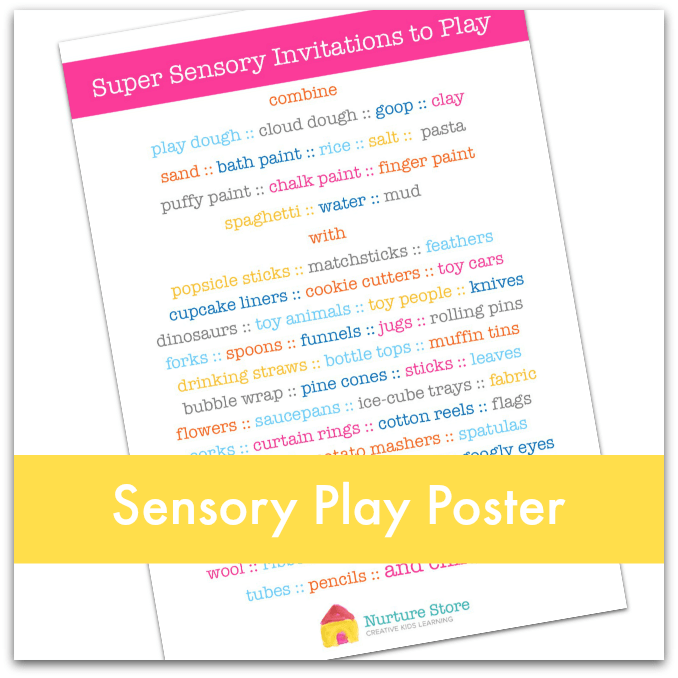 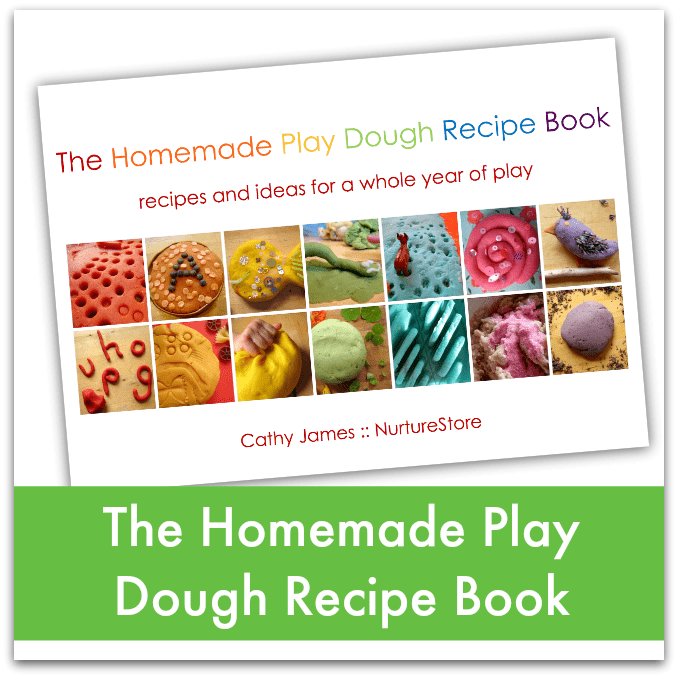 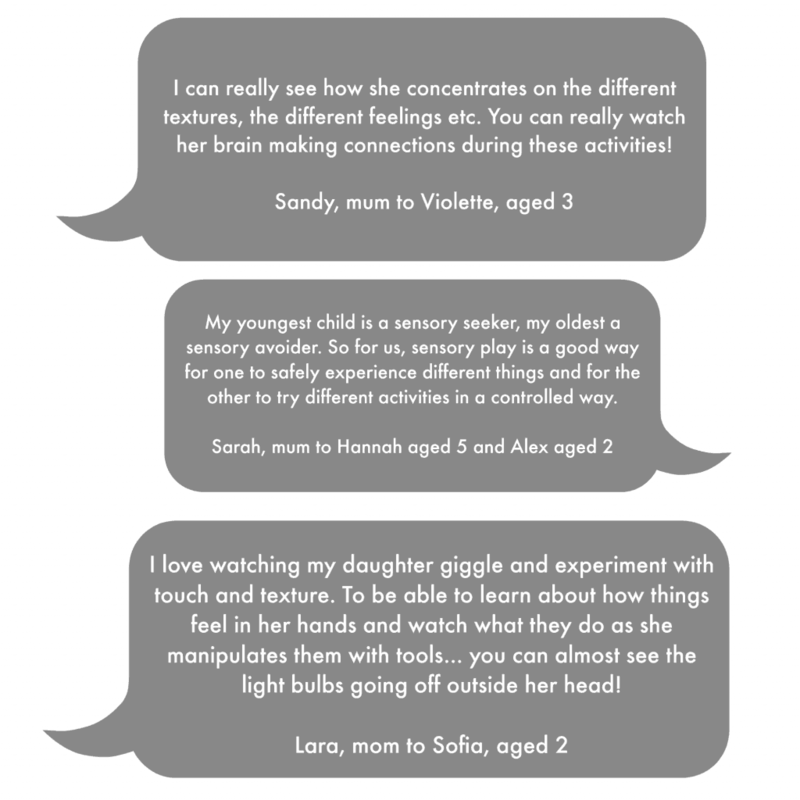 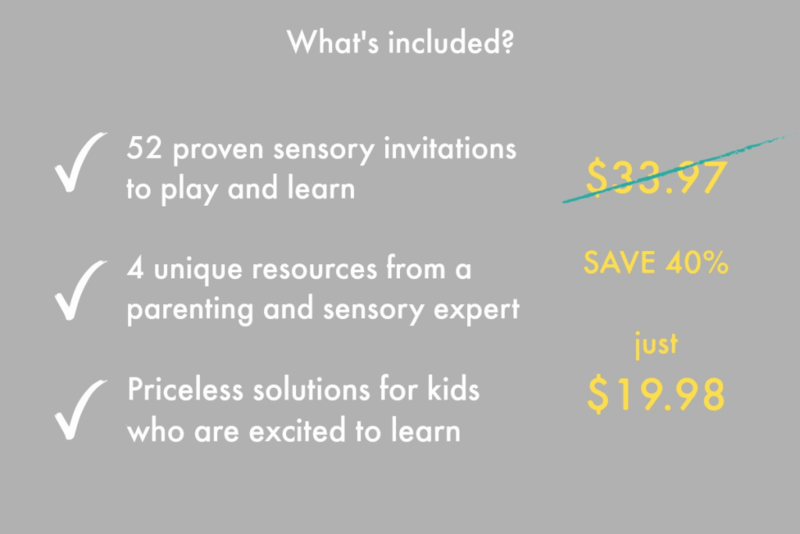 Sensory play is so important for children, as they explore and learn about the world. 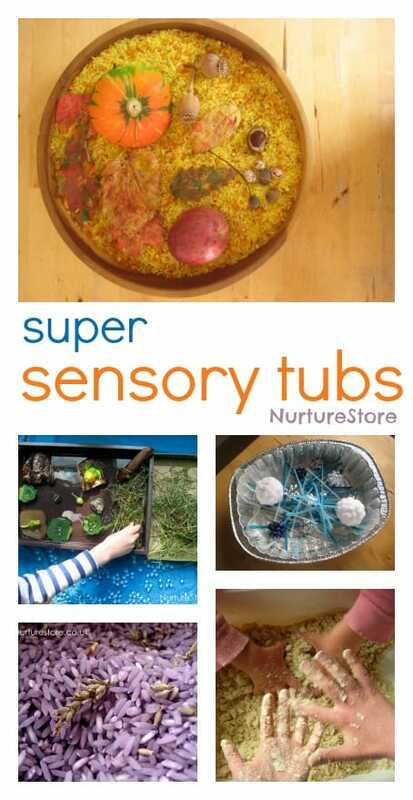 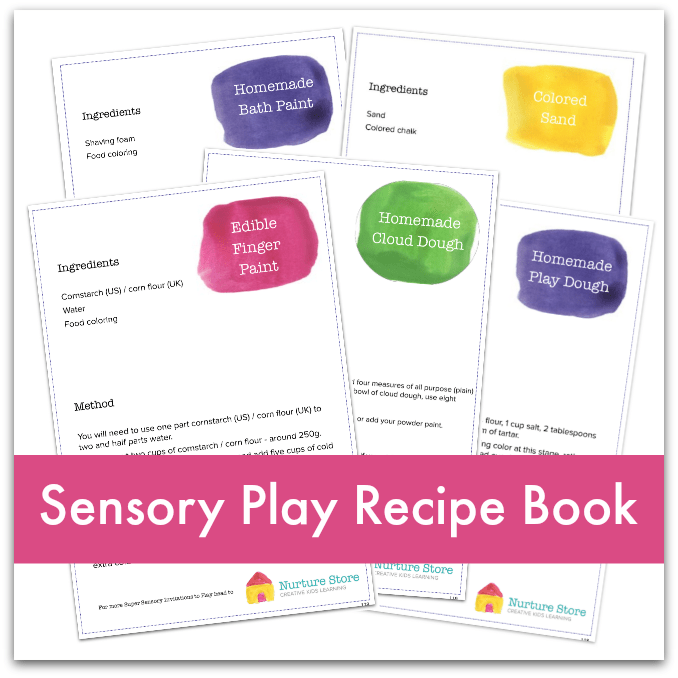 Use these fun sensory tubs ideas, to make easy sensory play activities for babies, toddlers, and beyond! 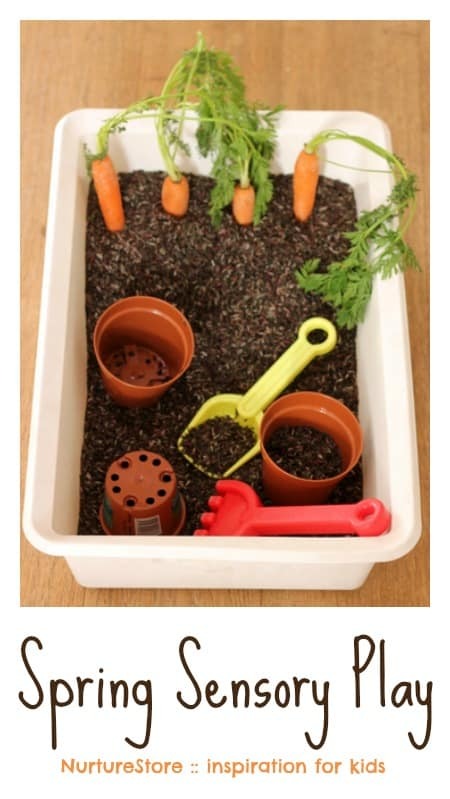 This spring sensory play tub with carrots is great for a range of ages. 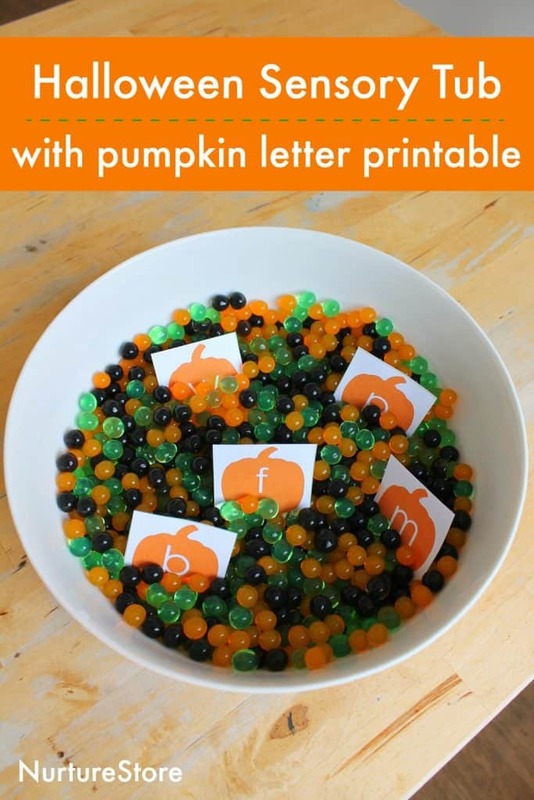 Here’s how to set it up, with extra ideas for spring activities for kids.